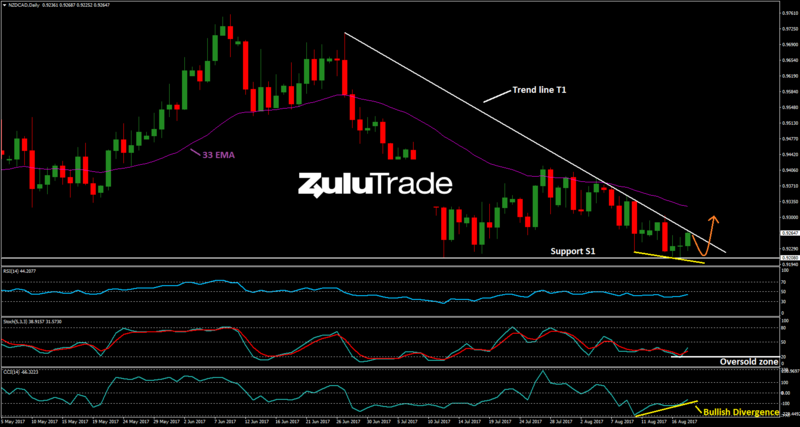 In daily timeframe, NZDCAD is moving in a descending triangle between the Support S1 and Trend line T1. 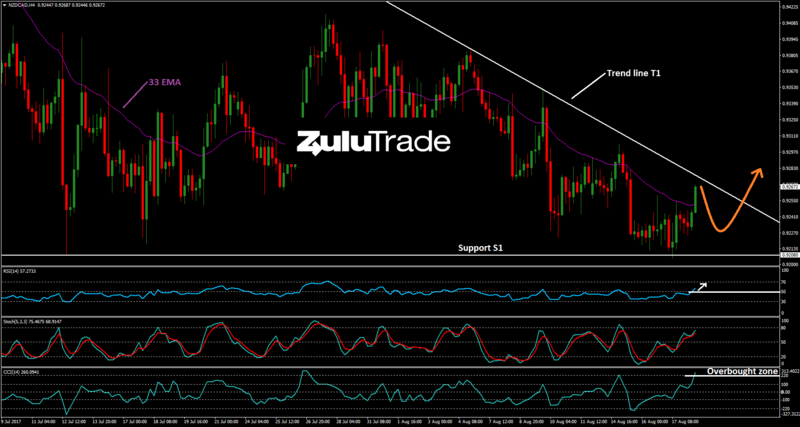 Stochastics(5,3,3,) broke out the oversold zone (below 20) to the upside, while CCI(14) formed a bullish divergence. Heading to H4 timeframe, CCI(14) is crossing above 220 level, near the overbought zone, while RSI(14) is crossing above 50 level. Therefore, we guess that the pair may reverse at the Trend line T1 towards Support S1 and then the buyers are going to take the control of the pair, targeting around 0.935 level. On the other hand, if price violates the Support S1, then the scenario is busted and the sellers may have another opportunity, targeting around 0.908 level. Our today's agenda includes Bank of Canada Consumer Price Index Core (YoY) (Jul) (Previous: 0.9%), Consumer Price Index (YoY) (Jul) (Previous: 1.0%/ Forecast: 1.2%).